Fig. 14. 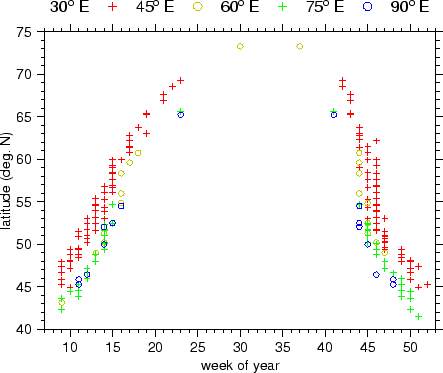 Time - latitude scatterplot of median `snowmelt week' and `snowfall week', orographic elevation less than 500 m.